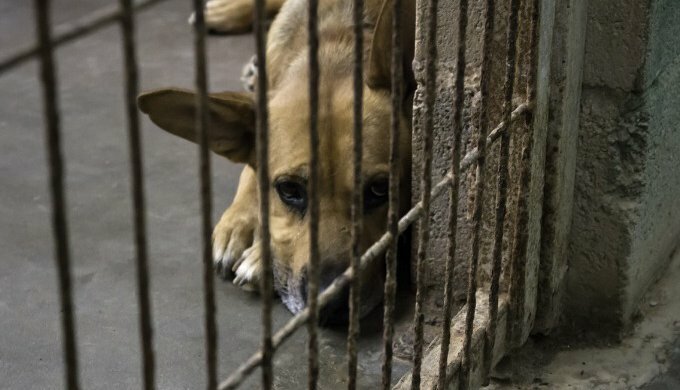 South Korean authorities have finally made the decision to shut down the largest dog meat slaughterhouse complex in the country. On the 22nd of November, South Korean authorities started to dismantle the largest canine slaughterhouse complex in the country, "Taepyeong-dong", located in Seongnam. The centre, consisting of six slaughterhouses, used to contain hundreds of dogs, waiting to be killed for their meat. It used to be one of the leading suppliers of dog meat for specialised restaurants in Korea. Animal rights activists denounced the ill-treatment and conditions inflicted on the dogs several times. The accusations were related to the cruel killing of the dogs. Some dogs were even electrocuted and shot in front of the other dogs, who were locked in the cages. Dog carcasses and electrocution equipment were found during the closure of the site. In South Korea, even with its long culinary tradition (similar to China), 70 percent of Koreans don't eat dog meat. Unfortunately, millions of dogs are still killed for their meat each year, but the number of people eating the meat has declined in recent years. In fact, their mentality has changed. In South Korea, dogs are finally being considered as friends to humans and not a farm animal, destined to be consumed. The consummation of dog meat is even becoming a taboo with young Koreans. Nevertheless, only 40 percent of Koreans consider banning dog meat while 60 percent think that the breeding and slaughter conditions of dogs needs to be improved. Currently, there is no law governing the slaughter of dogs in South Korea. While many demand the same regulations identical to the ones concerning cattle, activists continue to demand for its abolishment. Why are we crazy about cute pet pics?